Often I have second thoughts about posting food on Instagram and Facebook. I’ve heard complaints before that not everyone wants to see your dinner. However, last week, a friend approached me at the gym and thanked me for posting pictures of great-tasting, nutritious meals. “It lets me know that I can do this,” she said. One of my best tips is planning ahead. 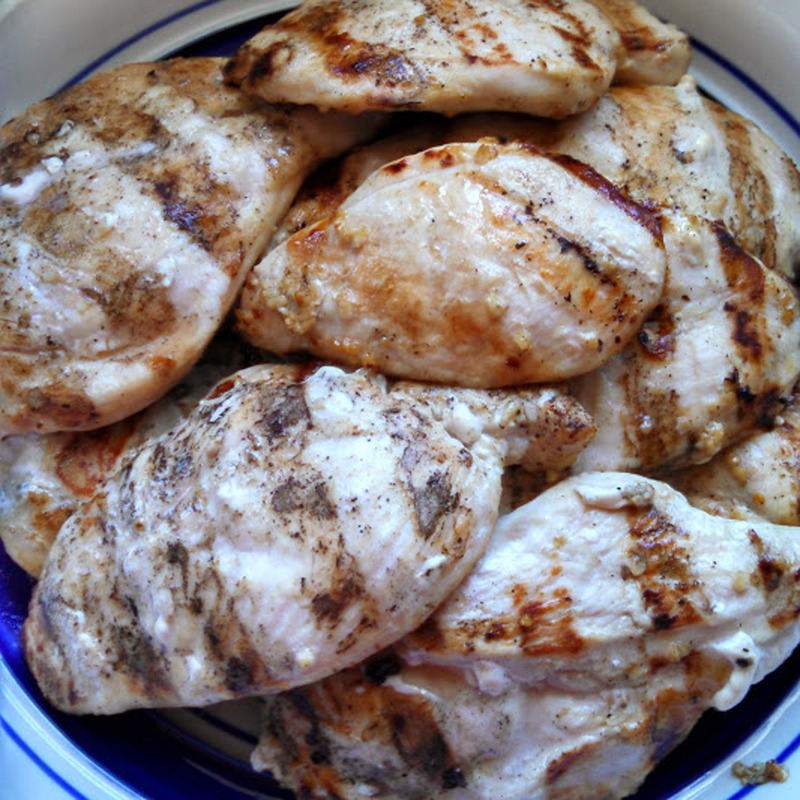 About once a week, I cook a tray of boneless skinless chicken breasts to refrigerate for later. It makes a quick bite of protein if I get in a hurry. I can also cut up the breasts to top a great salad or in a stir-fry. Lately, I’ve been throwing the chicken on the grill for a better flavor. I start with the thin, flash-frozen, boneless, skinless breasts in the large bag. I keep my preparations simple, but you could use various chicken rubs or marinades if you prefer. I’ve found that simple means versatile. I can use these for all cuisines. 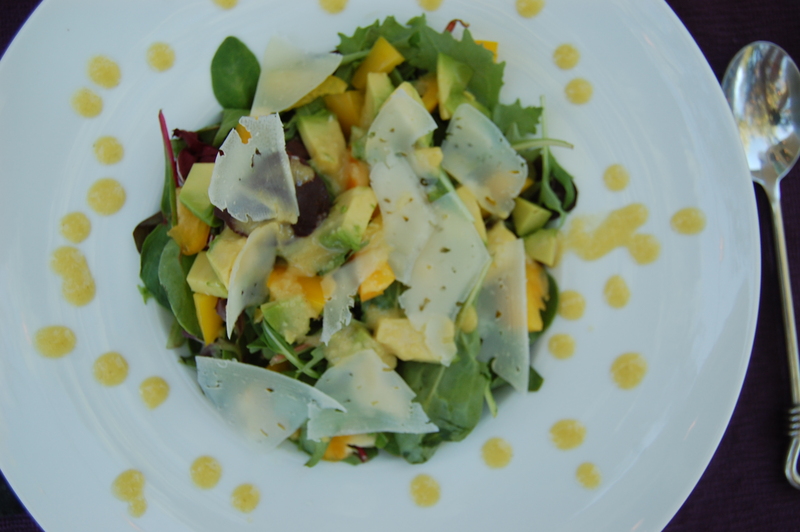 Making my own salad dressing is simple, too. I keep that on hand so I won’t need to use the bottled type with additives and oils that I don’t want in my body. Even if I don’t have it made up ahead of time, just a few ingredients means I can whisk it together quickly. Organic spring mix makes a great bed of green to add fresh chopped vegetables, some goat cheese and sliced chicken breast for a complete meal. The greens come ready to eat, or you can chop romaine or spinach to switch it up. Drizzle chicken with olive oil. 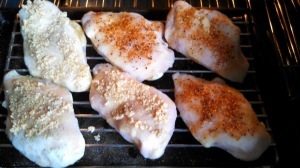 Rub with small amounts of salt, pepper and garlic. Place on hot grill until edges become opaque. Turn breasts over and finish until cooked through. Cool before storing. Whisk together until ingredients are emulsified. 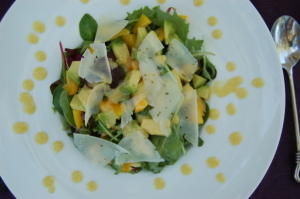 Drizzle over greens before adding other salad ingredients; toss. With the right ingredients on hand, it’s easy to just go with what you’re in the mood for any given day. All of these will go on any bed of greens, so just play with them until you find your favorite combination. This is just a sample list of some of the toppings. You may have your own favorites.